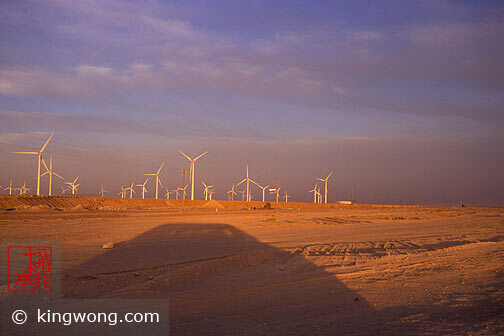 This is a large field of windpowered generators. They are huge. Their height is probably 10 meters or more, and their numbers probably reached 500.